Vance (Il y a 4 ans) #2564096Thanks for your reply :) The picture do have a Bandai Namco logo on right/down corner like the picture under. Take (Il y a 4 ans) #2563617Unfortunately unless Bamco advertised otherwise, I don't see any reason why it would have english sub, given the fact that it's the Japanese version of the game. 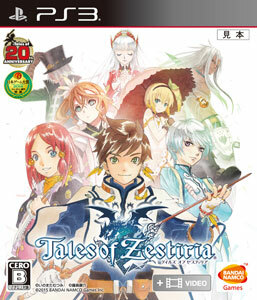 Vance (Il y a 4 ans) #2563553Does the PS3 Tales of Zestiria sold at amiami have english sub? it doesnt say anything there.